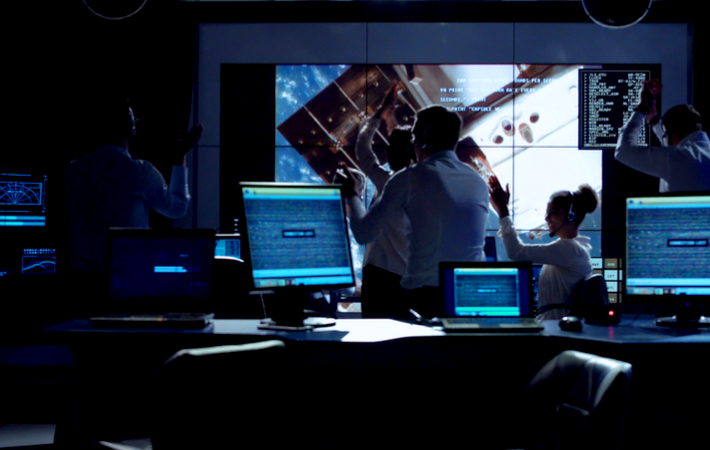 Former NASA Flight Director Paul Sean Hill shares the lessons for managing teams he has learned from his years in Mission Control. Management teams cannot predict everything and need the skills to find solutions to unexpected problems. Transparency and honesty are critically important if you want your team to be effective and engaged. An 'all-in' philosophy is the optimal route for creating the best teams, according to former Flight Director and Director of Mission Operations for Human Spaceflight at NASA, Paul Sean Hill. While conducting a space flight, mission control cannot foresee every problem that may occur on the mission. Instead, we ensure the flight-control team will catch every problem, harness the talent from across the team and respond correctly every time. That way, we have the greatest confidence that when the unexpected happens, the team will do the right thing. In the same way, a management team cannot predict every problem that will come along. There will be challenges that demand top performance as a team in order to be successful. How does a leader gauge a team’s true readiness to do that? Ask yourself (and the people who work for you) the following five questions, not as a cheerleader for the team, but as a leader whose team cannot afford to fail. 1. Are there any unmentionable or non-discussable subjects? You can’t solve a problem you’re not talking about. Hiding from it out of courtesy, civility, kindness, diplomacy or any other reason won’t make a management issue disappear. Left unresolved, more solvable concerns can fester into real threats and failure. Say it, then solve it. 2. Would your team openly discuss challenges, including those they don't know how to solve? There’s no partial credit for saving face, not asking for help, and wasting time and resources when you’re stuck - especially when it puts the team’s success at risk. The entire team is a resource to be leveraged in solving any problem. That’s also how we continue learning from one another for the good of team performance. 3. Will your team members recognise and admit to previous management mistakes? Leaders are expected to be successful, not to blindly defend previous decisions. Don’t become so enamoured with an existing strategy that you refuse to correct or cancel failing projects. High-performing teams are also learning teams that can take in new information, strengthen their positions and stay focused on being successful. 4. Are there any processes or practices that “everyone knows” aren’t necessary or helpful? You shouldn't be wasting resources on metrics and reports that seemed like good ideas but don’t actually contribute to the bottom line. Be merciless in this regard. Every process that is a distraction is getting in the way of work that could help, costing your business twice. Instead, focus your energies on practices that help the team perform better and help the management team guide strategy. 5. Will your team tell you when you’re wrong? If yes, congratulations! They trust you (presuming they don’t just think you’re a weak imbecile, which is a different problem). If they are reluctant to tell you “you’re wrong”, you must make it a survivable and a commendable thing to do. If the focus is on team performance, a leader has to see this as a lifeline from the team to prevent you from leading them into failure. Exploring the answers to these questions candidly - whether you are leading operations in space, managing a business or auditing a company’s financial practices - follows the same theme: high-performing teams are fully transparent and fully engaged. That means the boss is willing to bring the team 'all-in' on every issue, strategy and decision, and the team is 'all-in' to engage and share challenges and ideas. The 'all-in' team leverages the strengths from across the team to perform at a level not possible individually and, therefore, can deliver critical successes that appear impossible. Connect with Paul for workshops and talks, or read his book, Mission Control Management, (also published in the US and Canada as Leadership from the Mission Control Room to the Boardroom) for more insights from mission control.